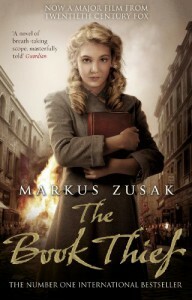 The Book Thief: Film tie-in - My Reading World! “A small fact: You are going to die"
Love, friendship, books, war, life, death, I lived everything with Leisel. I enjoyed it all, What I loved the most is The death was the narrator which made the story really interesting. This novel wasn't an ordinary story about a little girl her mother took her to a foster family in Nazi Germany period, it was a story about the good and evil, about the brightest hearts in the darkest times, I saw Life, love, friendship, and war through the death's eyes which is special, in a wonderfully written novel. The ending was horrible, so heartbreaking. 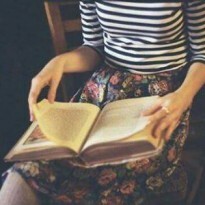 This novel is so special, it's a special gift, from a special person. I think it will keep reminding me of these good days.